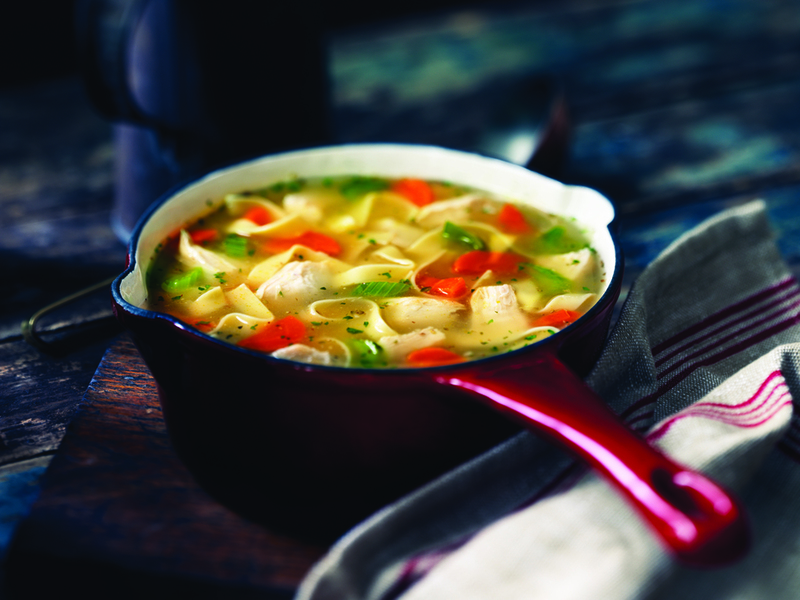 This recipe is a tasty version of a classic chicken noodle soup. A touch of lemon juice adds a note of brightness. Cook noodles according to package directions, in salted water, until tender but still firm (al dente). Drain and set aside. Cook chicken in lightly-oiled, heavy-bottomed saucepot over medium-high heat until browned. Remove chicken. Add chicken broth, celery and carrot and heat to a boil. Dice chicken. Stir in chicken, noodles, lemon juice, garlic and oregano leaves. Reduce heat to low. Simmer stirring occasionally, for 5 minutes. Stir in parsley and serve. Egg noodles come in a variety of forms,from twisted medium noodles to flat,broad noodles - each type giving the recipe a special appeal. And it’s a bonus,when you are busy,that egg noodles cook quite quickly! Best chicken noodle soup I have ever tasted. 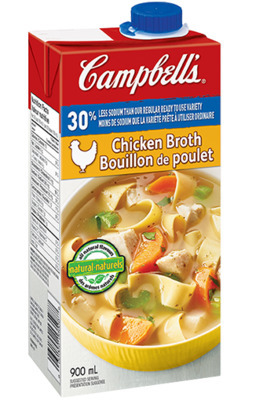 I used the new no Salt broth so I can control salt intake.